CHICAGO, August 21, 2018 – The International Association of Women (IAW) recognizes business leader and entrepreneur Cynthia Anderson as a 2018-2019 Influencer. 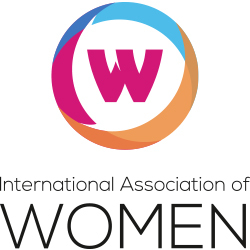 The International Association of Women (IAW) is a global in-person and online networking platform with nearly one million members, more than 1,000 in-person and virtual events, and over 100 Local US-based Chapters and International Chapters in several cities in China. A highly successful entrepreneur and a Certified Public Accountant (CPA), Cynthia Anderson has owned and sold five businesses throughout her career, including a CPA firm that she eventually sold to RSM. In 2013, Anderson founded Thinc Strategy, Inc. on the premise that businesses can achieve higher levels of successes by evaluating both their financial and cultural health. Over the last five years, Thinc Strategy has guided more than 140 companies in 26 countries to boost their business value, accelerate growth and elevate corporate culture. Thinc Strategy is helping organizations break through the noise by executing strategies that produce tangible results and increase monetary and cultural value. President of Thinc Strategy, Inc.
As managing partner of Thinc Strategy, Anderson is responsible for the day-to-day operations of the company, including overall firm management and client strategy. She also leads a team of consultants who provide Thinc Strategy clients with an array of services, including ownership transitions, controller outsourcing, acquisition strategies, and management development.